May 2012. Salt marshes are one of the most vulnerable coastal environments in the Gulf of Mexico. Researchers from Mississippi State University (MSU) have quantified short-term impacts of the Deepwater Horizon oil spill on Louisiana marshes and developed maps that can inform the restoration prioritization efforts of decision makers. This research is outlined in their published study in the March 2012 edition of Remote Sensing of Environment. Deepak Mishra grew up a half a mile from the Bay of Bengal and wanted to study the sea for as long as he could remember. While working on his Ph.D. at the University of Nebraska, he discovered that in the space age, there are no geographic limitations to researching coastal health. With support from three Gulf of Mexico Research Initiative (GoMRI) awards, Mishra and his team at MSU were one of the first groups on the ground in 2010 studying the impact of oil on the salt marsh ecosystems of southeastern Louisiana. Mishra’s group was one of the very few academic teams with coastal salt marsh health baseline data when the spill occurred, as his research developing models that linked satellite imageries with ground data to monitor the health of regional salt marshes began in this area in 2009 when he joined MSU. The authors were immediately able to use satellite data and ground experiments to quantify the short-term impact of the oil and dispersants on the coastal salt marshes in the region. (Click to enlarge) Louisiana salt marsh study sites for Mishra research. Mishra and his research team used the satellite data to determine that affected marsh plants first went through visual signs of oiling (oil coating), followed by reduced photosynthetic pigments/activity (yellowing/browning up), and finally cell structural damage (dead biomass).Their model uses four parameters to gauge estuarine health: top of canopy reflectance, leaf area index, canopy level chlorophyll content, and above ground green biomass. Mishra developed formulas to measure these factors from satellite imagery and then simultaneously collected ground samples to confirm findings. The data collected in 2010, when compared to the previous year’s data, showed an initial decrease in biomass and canopy chlorophyll during the 2010 growing season particularly in St. Bernard and Plaquemines Parish. They also reported some recovery at the fringe of the study area towards the end of the growing season. 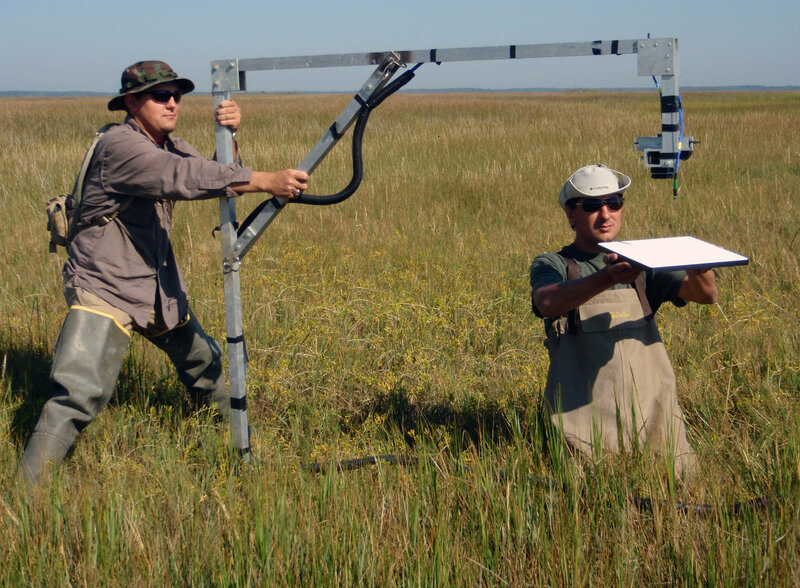 Their research used Landsat imagery to produce estimated time-series maps that have the potential to quantify the ecological impacts of the oil spill on salt marsh structure and function. Mishra and his colleagues were able to identify critical hotspots in need of immediate attention and designed a research model that could be applied to other coastal salt marshes in similar circumstances. These products can also be used in conjunction with biogeochemical data to analyze the changes in important wetland functions, providing resource managers access to large-scale maps of southeastern LA coastal wetland productivity. Read more about this published research in Volume 188 (March 2012) of Remote Sensing of Environment. PI on GoMRI Year One Grant, OIL: Comprehensive Study of the Impact of the Deepwater Horizon Oil Spill on the Health and Productivity of Gulf Coast Salt Marshes. 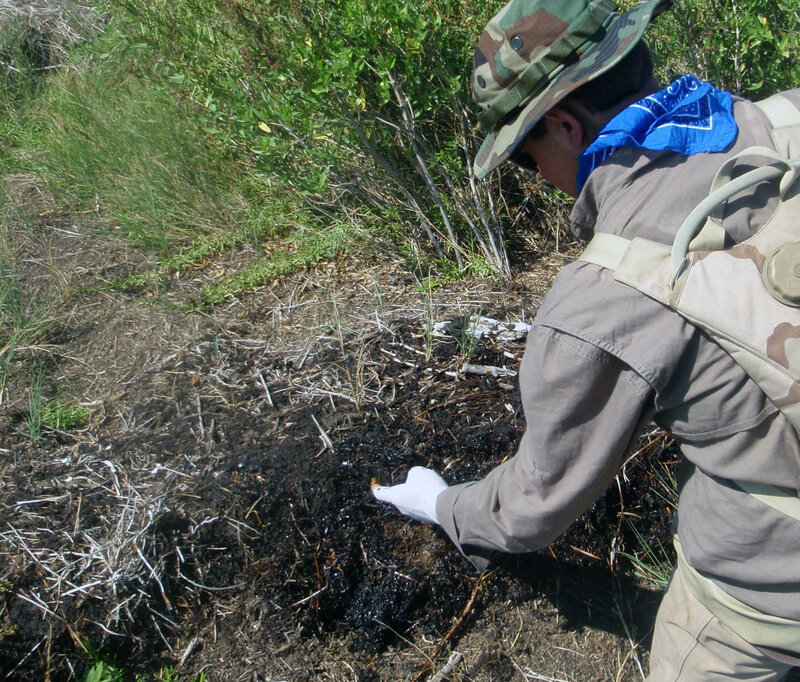 Affiliated researcher on GoMRI Year One Grant, Integrated Assessment of Oil Spill. PI on GoMRI Bridge Grant, Comprehensive Study of Impact of the Deepwater Horizon Oil Spill on the Health and Productivity of Gulf Coast Salt Marshes. 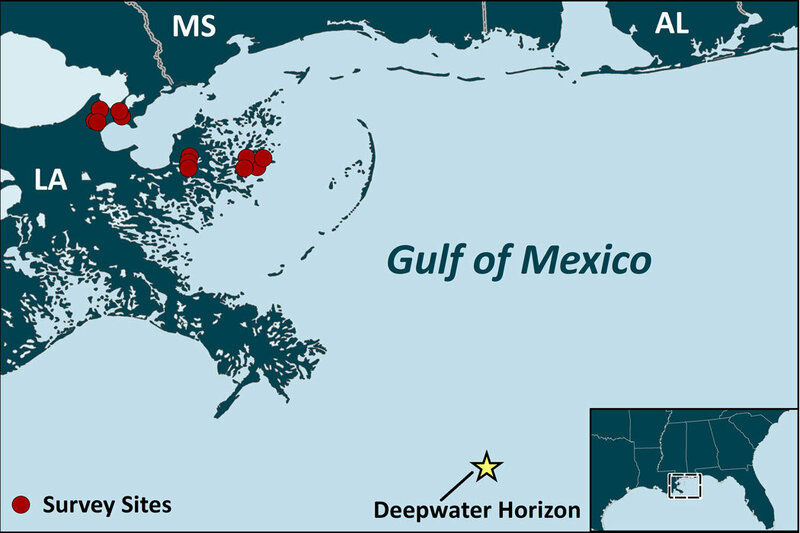 This research was made possible by a grant from BP/The Gulf of Mexico Research Initiative (GoMRI) to the Northern Gulf Initiative (NGI). Other funding sources included the National Science Foundation RAPID program (Award # 1050500).